Preview Book Review: Mystic by Jason Denzel. A fresh-faced heroine risks all to pursue her dream of becoming an apprentice Mystic, singing silvery mist-animals to life in ancient, mysterious woods. 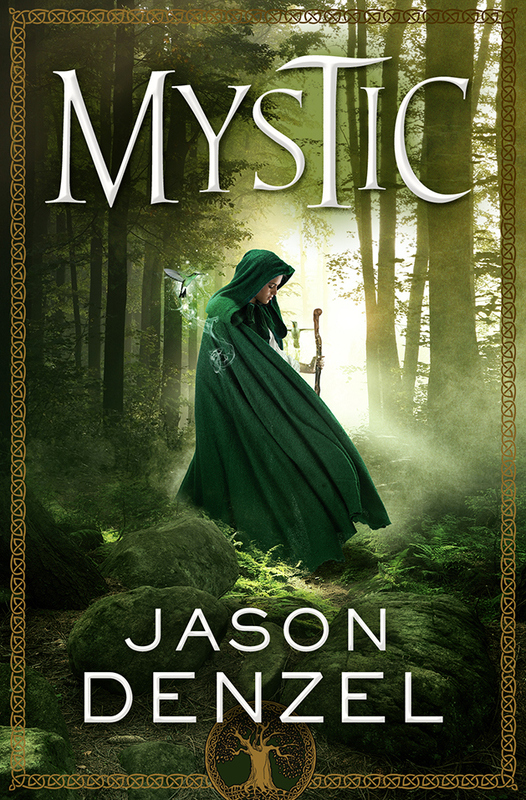 Was lulled into downloading the preview copy of Mystic by Jason Denzel mostly because of its gorgeous cover. It features a cloaked and hooded girl looking like she’s just another green shadow in a dark-lit, misty forest, leaving not a footstep behind nor a leaf stirred as she passes through (check out the process of how they came up with the cover here). Being a lover of the magical forests of Juliet Marillier’s Sevenwaters creations, I had to take a peek and see whether this story captures the same feeling of reverence to nature. And Sweet Saints I think it does! Let it be known that the preview copy I downloaded from Netgalley only contains the first eight chapters of the 75,000 word novel and comes with a disclaimer that it is the “Uncorrected Digital Galley”. Mystic by Jason Denzel is about a commoner girl who dares to go against the will of not only her father, but her entire village—and the will of her Barony—in order to compete against talented Nobles in a contest to win an apprenticeship with the powerful High Mystic of Mystwood. Apparently Jason Denzel wrote this baby in 6 months in 2013 and it was purchased only a year later in 2014! In this case, Jason Denzel mentions that his opportunities arose mostly because of decades long relationships he worked to maintain in the industry (read an overview of how Mystic came about…includes a reference to Brandon Sanderson as his brain trust [what an epic-ally appropriate nickname!!]). What little I did read of Mystic gave a glimpse of a Celtic-inspired world where people live closely with the offerings of the earth in little hamlets that remind me of the Shire. Perhaps it was the playful narrative but I imagined all the folks of the little village of Oakspring as little sprites or wee green people themselves or… kin to the leprechauns or something—tiny cute-sy folk that dance around maypoles or atop fairyhills on Beltane’s eve to the sound of fiddle and pipe and abhor anything iron. You get the idea. (I’m probably wrong and they’re just regular human sized…) The story is told with lively language and through the viewpoint of charming apple-cheeked-wholesome kind of characters that the big bad world hasn’t corrupted yet. Not everything’s a song and dance, however, as there are darker elements to the story. All of the commoner folk live at the mercy and protection of their Baron and should they ever decide to get on the bad side of the nobility, they become “Unclaimed”, cast out of society to fend for themselves. 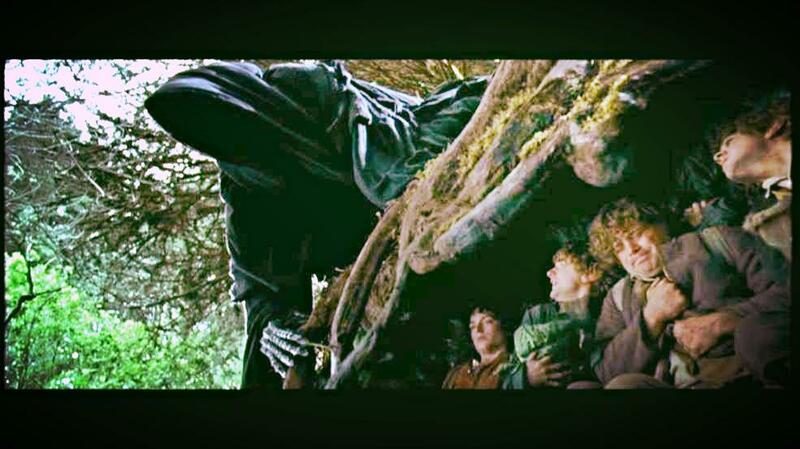 As predicted, most of the unclaimed don’t want anymore trouble and just accept their pitiful circumstances, moving out of the village to begin a pathetic life in dank hidey-holes in the woods. Early on in the story, Pomella, our heroine, has to choose whether she will become an unclaimed in order to pursue her heart’s desire to become a Mystic even though nothing is guaranteed, or stay in the village and continue living a half-life in servitude to the nobility. It doesn’t help that everyone wants her to stay, some of them being little shites about it, too (lookin’ at you Elona). After eight chapters, I’m still only getting a feel for how the magical Myst works and what it’s purpose is to the world. Seems like the Myst can be shaped into forms of nature—birds, lotus flowers, wolves. People can also attract the Myst through their own unique talents, like song or dance etc. But I still don’t know the true power of the Myst except for a vague explanation that it is used to protect the Mystwood. Seeing silvery animals in the woods definitely reminds me of a certain scene from Deathly Hallows involving a silver doe patronus. Overall, I like Mystic so far. I was surprised by the flavor of the story as from the cover I expected something with a less impish feel. Whereas Sevenwaters brings to mind tall, beautiful, otherworldly beings, Mystic brings to mind cute, mischievous, wee green men (and giant ones that emerge from the ground like talking plots of grass and greenery). The language of the story reminds me of Chime by Franny Billingsley, with the cute made-up words (and expletives) peppered throughout the story and fun short nonsense poems that give the whole world an extra texture. As a heroine, Pomella has her moments. She’s very fresh-faced-wear-your-heart-on-your-sleeve-country-girl in her approach to everything—very naive and so far, charmingly so. If any of you have read Summers at Castle Auburn by Sharon Shinn and liked the heroine, Corie, you might like Pomella, too. Both of them speak unguardedly (from the heart without much filter) and are commended and disdained by their so-called superiors for their honesty or uncouthness, respectively. By the end of chapter eight, Pom’s got the advantage of being a novelty among nobles who are bored with the same old—I’ll definitely be curious to learn more about how she changes as the story progresses (especially knowing a creature like Mantepis is slinking around). I do love underdog stories. If you like romance in your fantasy, there’s hintings of those, too. It’s too early on for me to figure out how I feel about it, but suffice it to say that so far it has awkward and rather delightful moments aplenty. Mystic by Jason Denzel is due to come out November 3rd so I won’t have to wait long to read the rest! Previous Book Review: Salt (The Last Flotilla) by Colin Barnes. A waterlogged dystopian whodunit that’s rather flavorless in execution. Next Book Review: Followed by Frost by Charlie N. Holmberg. A magical curse. A scorned wizard. A journey to a distant land. A heart of ice melted by love. Jenny – Yes, right now it’s feeling a lot like Frodo and the gang leaving the wholesomeness of the shire to the mysterious outside world right now but with more romance, heh.